The Gender Odyssey Family conference is pleased to welcome Chaz Bono and Cheryl Kilodavis as this year’s featured keynote speakers. Chaz and Cheryl will be profiling their best-selling books, "Transition" and "My Princess Boy," respectively. Parents can safely explore issues related to raising children who fit outside society's current gender expectations. The Gender Odyssey Family Conference, the first family-centered event for people raising transgender and gender non-conforming children and teens, returns for the its fourth annual meeting at the Washington State Convention Center, August 5-7th, 2011. This three-day conference, developed to specifically address the unique issues encountered by parents of transgender children and teens, will offer strong family programs including Creating a Safe School Environment for Your Child, Navigating Differing Parenting Styles, Advocating for Your Child, and Health Issues for Toddlers to Teens. The conference is designed to optimize the whole family’s experience with concurrent children-, youth-, and parent-related sessions. The event schedule includes national experts, panel discussions, and interactive forums where parent(s) can safely explore issues related to raising children who fit outside of society’s current gender expectations. In addition, this conference offers a kids day camp and includes exciting programming geared towards gender non-conforming children and teens. An increasing number of children at younger and younger ages have begun to identify as, or become accepted as, transgender or gender non-conforming. This conference is the first conference specifically designed for families who are trying to safely navigate through the day-to-day realities that a transgender child may encounter. 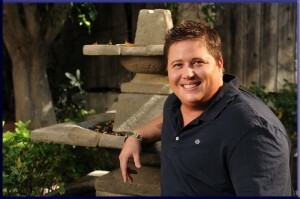 Gender Odyssey is pleased to welcome Chaz Bono and Cheryl Kilodavis as this year’s featured keynote speakers. Chaz Bono, adult transgender child of famed entertainers Sonny and Cher, began a very public transition from female to male and has written the book, Transition: The Story of How I Became a Man and was profiled in the highly successful 2011 Sundance documentary, Becoming Chaz, which premiered last week on the Oprah Winfrey Network (OWN) channel. Cheryl Kilodavis is the author of My Princess Boy, the beautiful children’s book inspired by her own son, a boy who loves pink, sparkly things, and dresses. This is a story about acceptance and unconditional love. 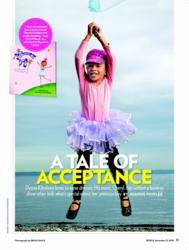 Kilodavis speaks nationally about her book, her family, and the societal response to her book. Aidan Key, founder and director of the Gender Odyssey Family Conference, is the facilitator of the Seattle Children’s Hospital support group for parents of transgender children and teens. Key speaks regularly on issues of gender identity development to a wide variety of audiences including healthcare professionals and early childhood educators. He’s worked as a gender specialist for over 12 years and whose media appearances include Oprah, Larry King, NPR, and Inside Edition.